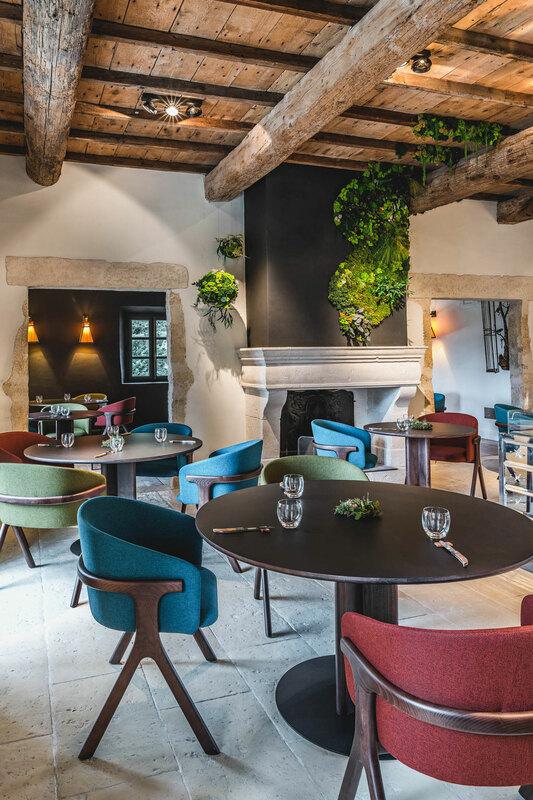 Having lunch or dinner at Cicada, la Table du Hameau, means experiencing organic gourmet eating elaborated with the finest local products. 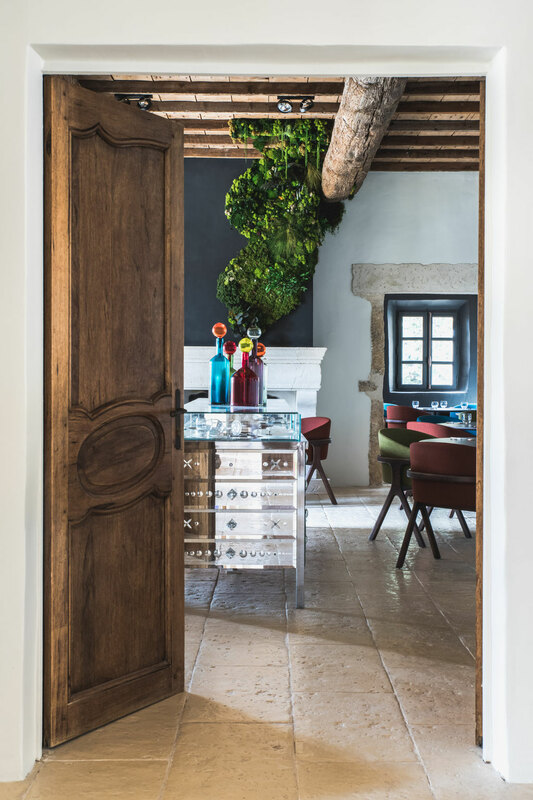 Chef Stephan Paroche brings an avant-garde touch to traditionnal provençal cooking, reinterpreting the fundamentals without losing the cultural identity. A Cicada dish is a first-class culinary voyage into modern Provence. 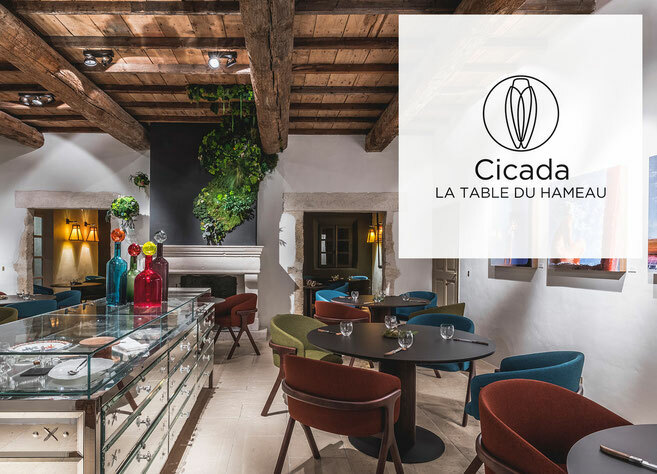 A symbol of Provence, the cicada reunites with its Latin roots at Le Hameau des Baux. The title matches perfectly the spirit of the place, the decor, the culinary bias: to create with local enduring products the best contemporary culinary art. In order to provide the ideal setting for this unique eating experience, the restaurant is now set around a beautiful stone fireplace, in a sun-drenched dining room. 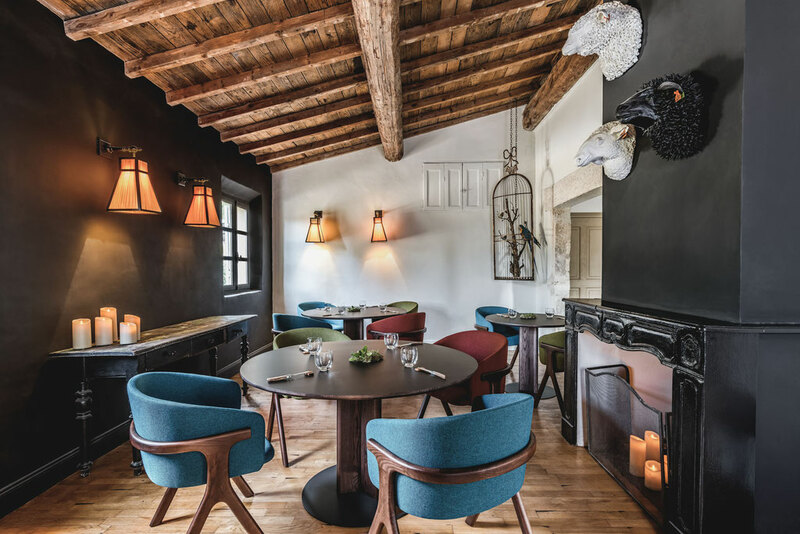 The comfortable and contemporary furniture has been designed exclusively for the Hameau, for the guests’ pleasure. As soon as the weather allows, one can eat on the large terrace under the shade of ancient plane trees, with the Alpilles in the distance. Chef Paroche’s cooking combines top products with a constant search for new tasty pairings, with a preference for surf and turf dishes. The ingredients are provided by la crème de la crème of the country’s farmers and craftmen, most of them are members of the collège culinaire de France, a fine institution promoting French cooking savoir-faire. Some are close neighbors of the Hameau. A lot of vegetables and herbs, organic, it goes without saying, come directly from the Hameau’s garden. “Terroir” is on the menu, as it is best explained by the chef himself “Meeting with local producers is an infinite source of inspiration. We have to showcase these passionate professionals, because they do a significant part of our work. A good product is already a good dish.” Tarbouriech or Pascal Migliore’s oysters, from Camargue’s étang de Thau, chesnuts from the Alpilles’ mountains, local olive oils, including the Hameau’s, Sylvain Erhardt’s green asparagus from Roques Hautes… Stephan Paroche loves to works with these essential products in a modern way. 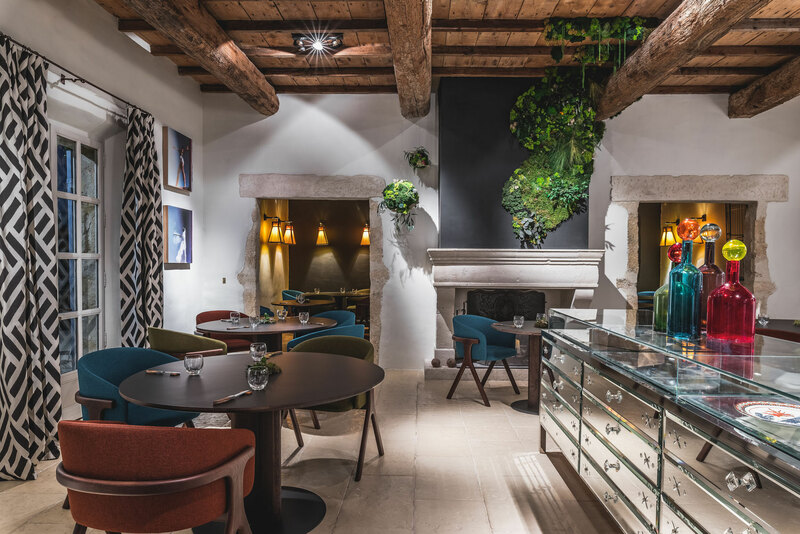 The Hameau’s wine list offers a large selection of organic and biodynamic wines, carefully selected by sommelier Jérôme Rey, a pioneer in organic wines who has been working over the last 20 years to promote natural wines from France and around the world. Guests can enjoy natural wines from Domaine Milan or Dominique Hauvette from Saint Remy de Provence, to name a few.